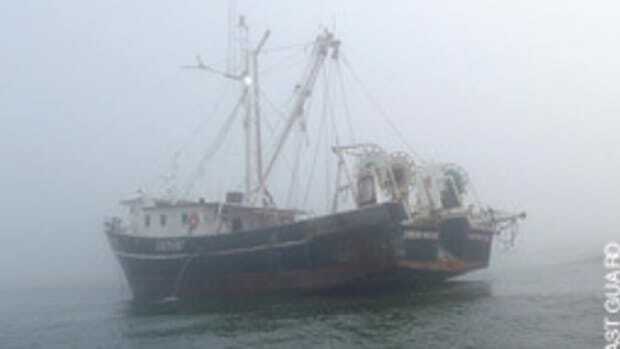 SINKING 40-FOOTER — The Coast Guard rescued two people aboard a 40-foot boat that ran aground Sept. 7 and was taking on water near Little Egg Inlet, N.J.The Coast Guard received a call from TowBoatU.S., reporting the incident. 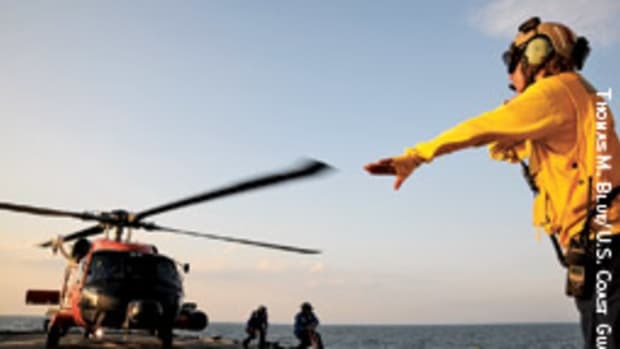 A rescue helicopter crew from CoastGuard Air Station Atlantic City (N.J.) arrived on the scene and hoisted the two people who were transported to the air station where they were then transferred to awaiting medical personnel. A good Samaritan rescued two people after their 59-foot boat took on water 27 miles east of Manasquan Inlet, N.J. 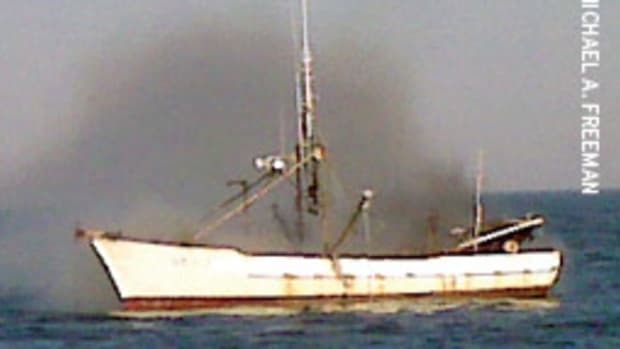 The Coast Guard overheard a distress call between the crew of the fishing boat Lady M and an unknown commercial provider reporting they were taking on water and listing. The Coast Guard issued an urgent marine information broadcast and launched Coast Guard rescue crews to assist. Rescue boat crews from Coast Guard stations Manasquan Inlet and Barnegat Light, N.J., and an air crew from Air Station Atlantic City, N.J., were dispatched to the scene. Cruise ship crew medevaced off N.C. The Coast Guard medevaced a 31-year old cruise ship crewmember off the coast of Cape Hatteras, N.C. The crewmember of the 861-foot cruise ship Carnival Miracle contacted Coast Guard watchstanders in Portsmouth, Va., stating one of their crewmembers suffered head lacerations after a cabinet fell on him. 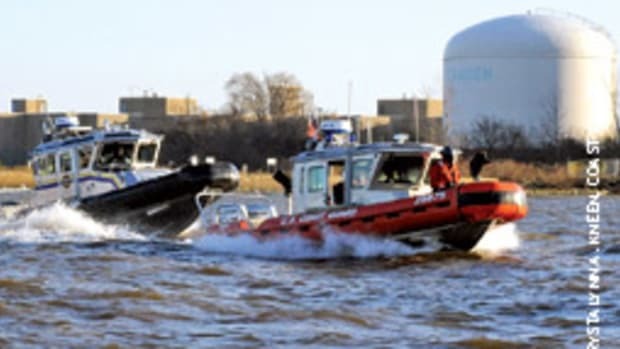 The Coast Guard rescued two people and recovered the body of a third following a boat collision between two recreational boats in Curtis Creek near the Coast Guard yard in Baltimore. 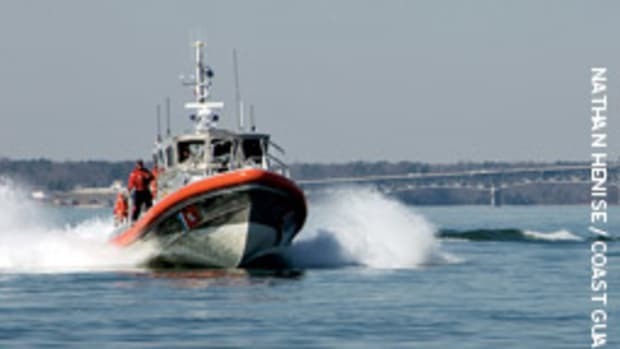 Good Samaritans notified Coast Guard Sector Baltimore watchstanders over marine-band radio, reporting a boat collision with people in the water. The collision resulted in the capsizing of one boat and the other boat with one person aboard went out of control following the accident. 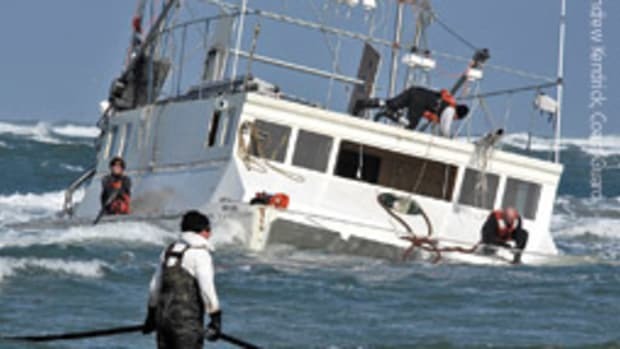 A good Samaritan got aboard the out-of-control boat and stopped it. Coast Guard Station Curtis Bay dispatched a 25-foot response boat crew and 41-foot utility boat crew to the scene. Missing 12-year old recovered off N.C. The body of a 12-year-old boy reported missing by his mother was recovered in Duck, N.C., less than a mile away from the original search location. The boy’s mother called 911 reporting her son was boogie-boarding on the ocean side of Corolla, N.C., and she lost sight of him after he went under water. A few minutes later, the board washed ashore without her son. 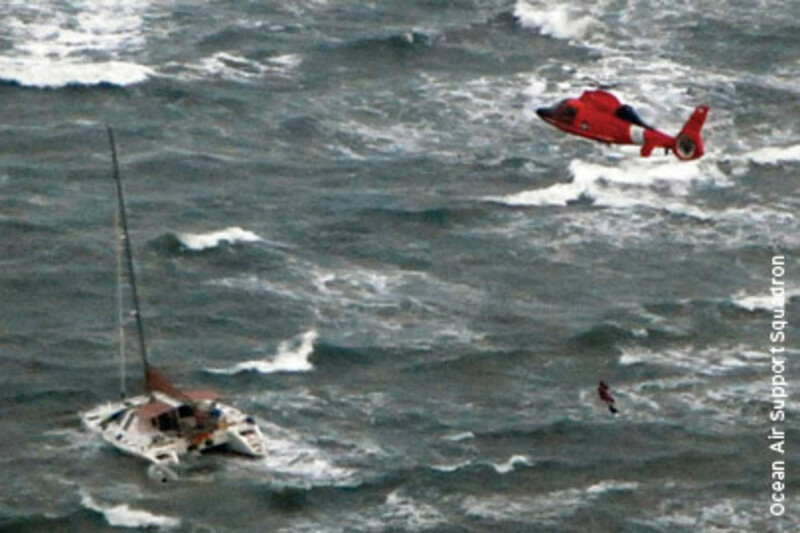 A Coast Guard rescue boat crew from Station Oregon Inlet, two rescue helicopter crews from Air Station Elizabeth City, crews from Ocean Rescue, Corrola Fire and Sheriff’s Departments and lifeguards aided in the search. Two boaters were rescued after spending more than two hours in the water without life jackets after their boat capsized about 10 miles northwest of Racepoint, off the tip of Cape Cod. This article originally appeared in the Mid-Atlantic Home Waters Section of the November 2009 issue.